Argentine-born 2nd generation Japanese Argentinian. In March of 2002, entered the “NHK Nodojiman Championship” held at the NHK Hall in Shibuya, Tokyo as the Argentinian representative and became the first grand champion from abroad (2001) and subsequently moved to Japan. When she first came to Japan, she could only speak Spanish, her native language, so she began taking Japanese lessons and voice training. 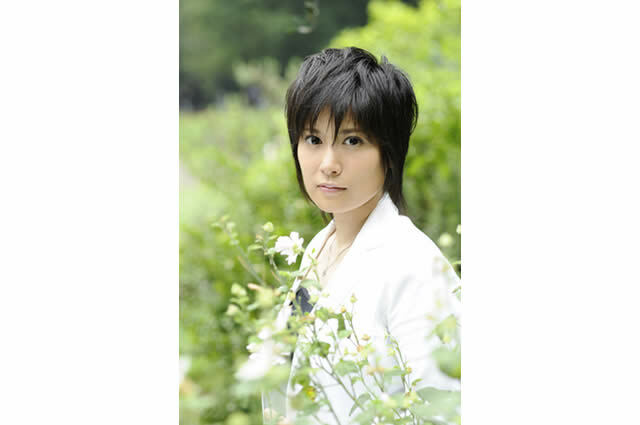 In August of 2003, she debuted from EMI Music Japan with the song “Torimo Tobanai Umidayo”. In August of 2008, she participated in the 100th Anniversary Commemorating Immigration of Okinawans. For the first time in 6 years, she held homecoming performance in Argentina to an audience of 1,500. In addition, with the release of her 7th single “Hino Sakeyo” in September, she returned to her roots and for the first time in a long time sang an enka with driving momentum. Recently, through her tireless effort, her Japanese has improved to the point that everyday conversation do not hinder her. Due to the fact that she is surrounded by male staff members, her speech is male and she has to be careful when speaking in public or on stage. Currently, she has relocated her base of musical activities from Tokyo to Hattori City in Gifu prefecture.